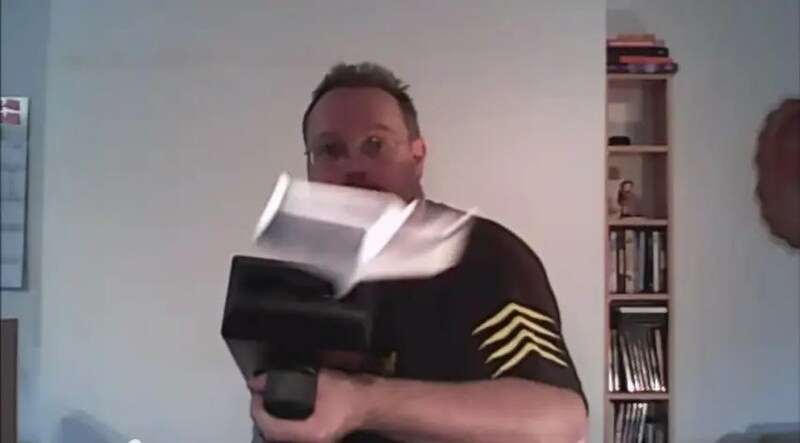 Amid concerns about 3D printed guns, one man has made a prototype of a weapon everyone can agree on: a 3D printed machine gun that shoots paper airplanes. YouTube user Papierfliegerei fabricated most of the parts for the whimsical weapon using the German 3D printing website fabberhouse.de, and acquired the rest from the Internet and his local hardware store. The gun feeds paper into it in a flat sheet and folds the paper airplanes itself.